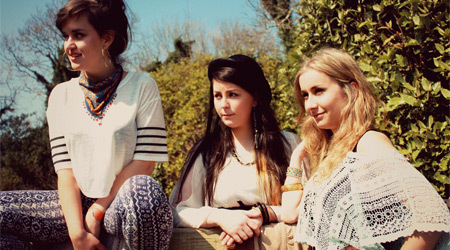 Female vocal group Wyvern Lingo have been making a big splash on the Irish music scene as Hozier’s backing singers. Now, the soulful, passionate, and haunting Bray trio are taking centre stage for their own show in the Ruby Room at the Royal Theatre, Castlebar, on Friday February 6.
a cappella before getting them back on their feet again and dancing with a full band of keys, guitar, synth, bass, and drums. Their new EP is a cocktail of R‘n’B hooks, bluegrass licks, gospel harmonies, and insightful-beyond-their-years lyrics. packed-to-capacity Royal Theatre concert in December. Described by Hotpress as a “female take on Mumford And Sons or Local Natives” and “an absolute treat”, Wyvern Lingo is certainly one group to watch in 2015.
or from Ticketmaster outlets nationwide.